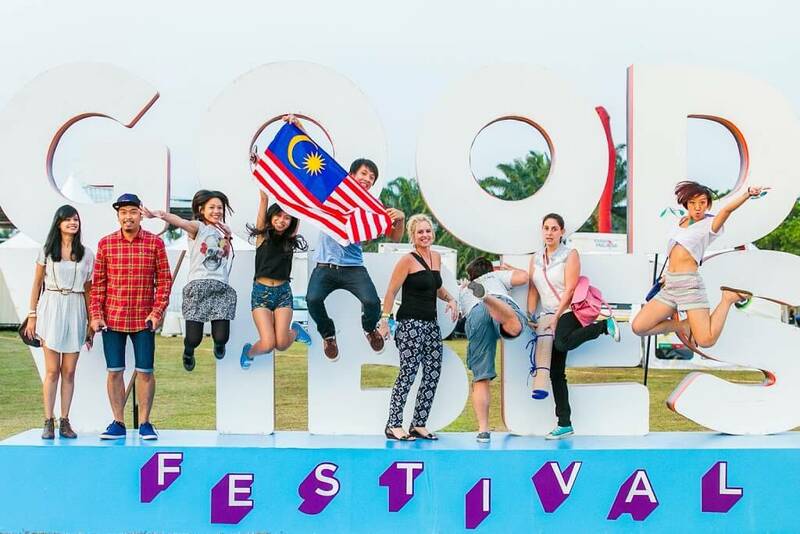 Malaysia’s music festival for all ages, Good Vibes Festival (#GoodVibesFest) will return this August with a greater number of contemporary headliners, bigger food offerings, and more activities to exhilarate festival goers. a Dream”, “We Are the People”), Banks (“Fall Over”, “Before I Ever Met You”), and !!! (Chk Chk Chk) (“Must Be the Moon”, “Slyd”). As with last year’s festival, #GoodVibesFest will also feature a formidable cohort of local and regional acts ranging from tastemaker DJs, bands, to singer-songwriters. The acts include Electrico (Singapore), Da Vagabonds, Bittersweet, Kyoto Protocol (DJ Set), Froya, +2DB, Dangerdisko, Narmi, Faiq and the Manja Mob, The Cotton Field Scarecrowes, Youtube sensation Elizabeth Tan, Lapsap, Indiego & Co and Guibooo. 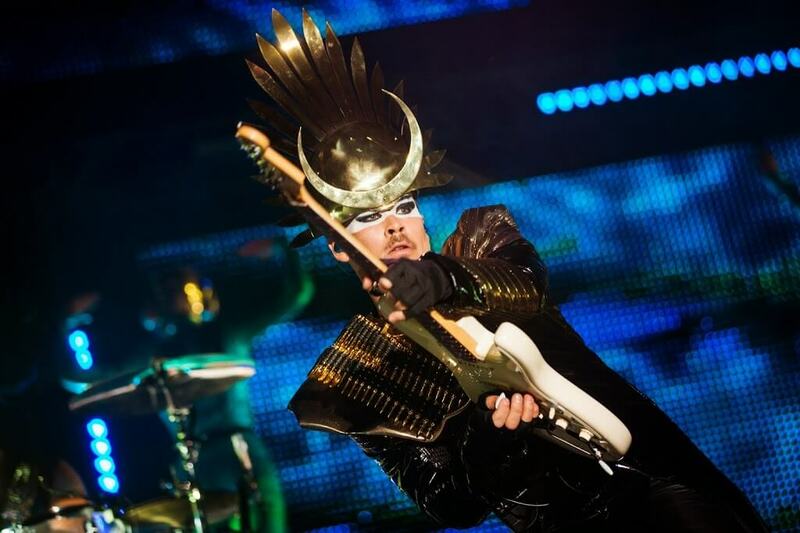 “We’re thrilled to bring the freshest lineup for this year’s festival to the Malaysian audience. Live music has always been a great way to gather people from different backgrounds. Hopefully Good Vibes Festival will help turn strangers and neighbours into friends and encourage lots of people to get involved in music.” said FSA Director Ben Law. #GoodVibesFest is a celebration of great music, positivity, and creativity. The Sepang Go Kart Circuit will be transformed into a lively outdoor landscape for a regional audience with discerning tastes for music, art and food. In between catching their favourite acts festival-goers of all ages will be tempted to explore art installations, a food village and also exciting new festival activities to fire up the senses. Good Bites, the food village that will house a tantalising spread of favourite festival foods dished out by local artisans, will be significantly expanded with more vendors this year. #GoodVibesFest is supported by Malaysia Major Events and Visit Malaysia Year 2014 with Hotlink acting as official telco and Fly FM as the official radio station. 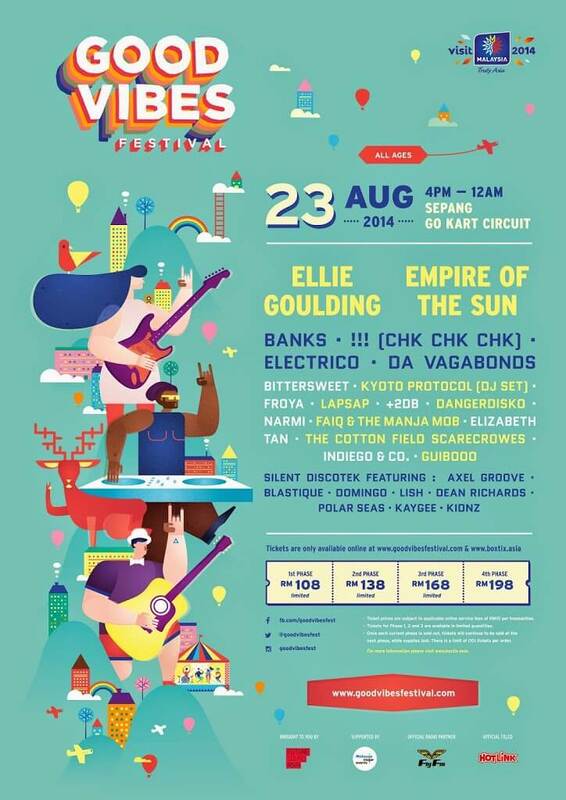 #GoodVibesFest is expected to attract festival goers from Singapore, Thailand, Indonesia, and the Philippines. world class live entertainment events, ” said Tony Nagamaiah, General Manager, Malaysia Major Events.